T/O Witchford 2209 - Target Le Mans, France. Crashed at Allones, 3 Km NW of Le Mans Aerodrome. 112 Lancasters and 4 Mosquitos of Nos 3 and 8 Groups. The majority of the bombs hit the railway yards and caused serious damage. The local report says that the locomotive sheds were destroyed, an ammunition train (or some ammunition wagons) blew up, 2 main lines were destroyed and all other lines blocked because overhead power lines were brought down across the tracks. Unfortunately the Lancasters of the Master Bomber and his deputy collided over the target and crashed. 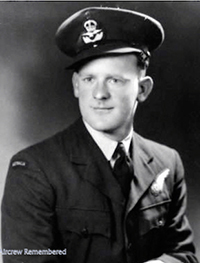 The Master Bomber was a brilliant young New Zealander, Wing Commander J. F. Barron, DSO and Bar, DFC, DFM, and the Deputy Master Bomber was Squadron Leader J. M. Dennis, DSO, DFC They were both killed; both were from No 7 Squadron. 1 other Lancaster was lost. ground crew and two other groundcrew not named. Son of George and Catherine Atkin, of Dronfield, Derbyshire. Le Mans West Cemetery, Departement Sarthe - Plot 38. 1939-45 Row C. Grave 24. Le Mans West Cemetery, Departement Sarthe - Plot 38. 1939-45 Row C. Grave 25. Source: CWGC - *Photo and info via Roger Carew, grandson. Son of homas William and Doreen Jean Plumb, of Bromley, Kent. Le Mans West Cemetery, Departement Sarthe - Plot 38. 1939-45 Row C. Grave 27. Source: CWGC - photo via francecrashes39-45.net, C. Dannau. Son of Sydney and Kathleen Mather, of Plymouth. Husband of Blanche R. E. Mather, of Mannamead, Plymouth. Le Mans West Cemetery, Departement Sarthe - Plot 38. 1939-45 Row C. Grave 26. Source: CWG - photo via francecrashes39-45.net, C. Dannau. Son of Frederick Richard Arthur and Dorothy Elizabeth Giles, of Brixham, Devon. Le Mans West Cemetery, Departement Sarthe - Plot 38. 1939-45 Row C. Grave 14. 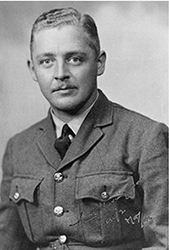 Son of Lloyd Britton Jones and Rachel Jones. Husband of Jessie Nimmo Tulloch Jones, of Edinburgh, Scotland. Le Mans West Cemetery, Departement Sarthe - Plot 38. 1939-45 Row C. Grave 21. Le Mans West Cemetery, Departement Sarthe - Plot 38. 1939-45 Row C. Grave 28. Son of Carl and Letitia Mehden. Husband of Jocelyne Marjorie Mehden, of Kings Cross, New South Wales, Australia. Le Mans West Cemetery, Departement Sarthe - Plot 38. 1939-45 Row C. Grave 15. Source: CWGC - photo via Aircrew Remembered.